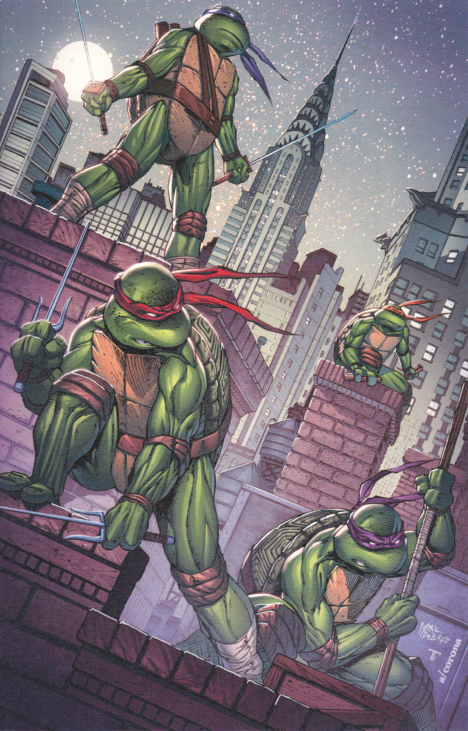 In 2014, IDW published 4 different versions of the TMNT 30th Anniversary Special anthology. The Direct Market version is the standard, containing 5 stories as well as bonus pin-ups from artists new and old and a brief introduction summarizing the history of the franchise. However, 3 alternate versions of the Special were released as convention exclusives, each boasting different bonus content in addition to all the material from the Direct Market edition. *There was also a blank cover variant for convention sketches. *The reprint of “You Had To Be There” is listed as a “rare story” on the inside cover. 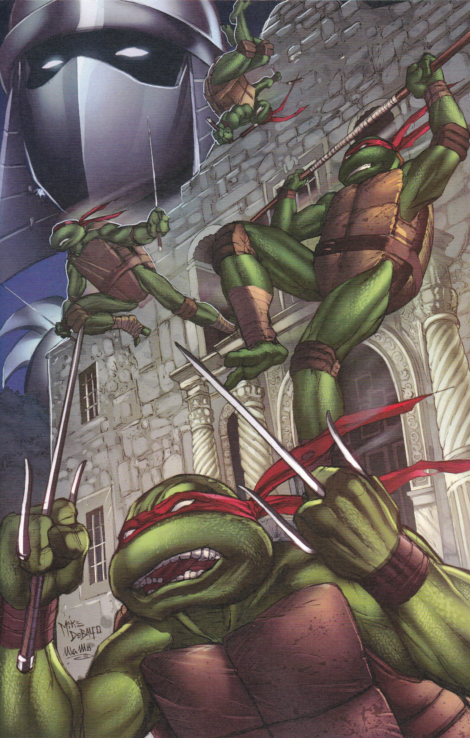 It’s actually one of the most-reprinted of Eastman’s short TMNT comics. *This run was limited to only 1000 copies. *The inside cover credits Eastman for a “rare story”, but there is no additional story in this version. *This run was limited to only 500 copies. A special thanks to TMNT fan “Enscripture” for helping me sort out all these different con exclusive editions of the Special. I actually attended the Alamo City Comic Con as a vendor (working the Ninjaink booth), but I didn’t pick up a copy. Looking over the contents of the con editions, some seemed to get a better deal than others. The credits for “rare story” appearing in each edition while only Capital City got the actual “rare story” is a bit troubling. I’m guessing they used the same layout template for the credits/intro page and didn’t properly adjust it to reflect the actual unique contents of each edition. “You Had To Be There” isn’t actually that rare, though, having been reprinted at least 3 different times in the past, so it’s an easy find if you missed out on it in your edition. The bonus art galleries vary between them, but are mostly made up of the same stock of stuff. While Capital City got the actual bonus story, I think they received the weakest assortment of bonus art. The majority is just scans of pages from issues of the comic; nothing rarely seen or surprising. Alamo City and New York City have assortments consisting mostly of sketches and IDW cover layouts with a few promo pin-ups thrown in for good measure. I think New York got the coolest stuff out of them all; mostly cover sketches but also some little odds and ends you don’t see too often. All in all, if you own the Direct Market edition like I do, then I wouldn’t really recommend you go out of your way to pick these up. 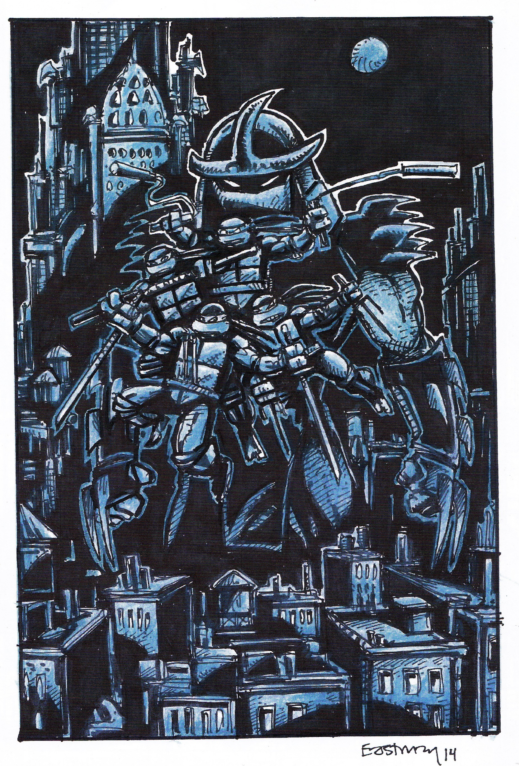 Most of the content can be found in Eastman’s Artobiography and Heavy Metal’s TMNT 25th: A Quarter Century Celebration (both of which are currently in print via IDW). Eastman’s unique intros, too, don’t speak specifically to each convention and are just rewordings of the same promotions (“There’s a movie coming out!” “Watch the Nick cartoon!” “I’m not married to Julie Strain anymore!”). Still, for collectors, these might be of some interest, especially with their scarce print runs. 5 new stories? I thought one of them was a reprint. 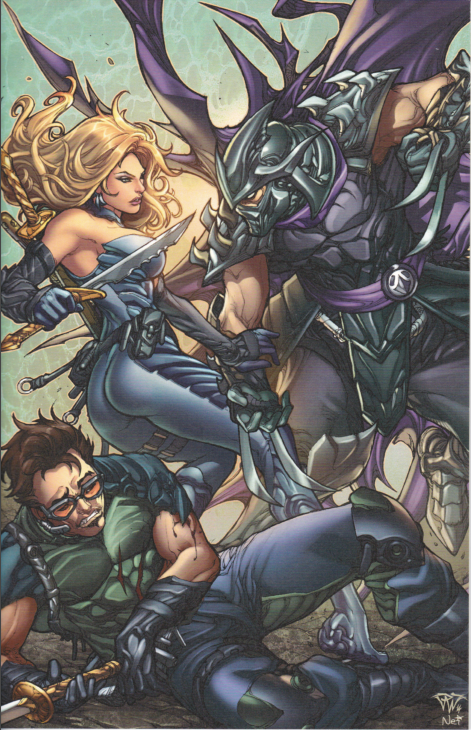 Any clue who the two non-Shredder characters are in the Capital City Comic Con Edition cover? Inside cover credits say "with special appearance by Cerebus, Casey Jones and Artemis". Guessing the lady on the cover is Artemis? I'm really not sure. It's Heavy Metal 2000 all over again.